The National Archives announced on Nov. 9 the release of 13,213 additional records pertaining to the 1963 assassination of President John F. Kennedy in Dallas. Most of the documents were previously released in redacted form as part of a long-term process to comply with a 1992 federal law. More than four million pages have been released previously in full or with parts blocked out. Released records are available for download here. The announcement by the National Archives is excerpted below, as are several hard-hitting commentaries by experts analyzing three previous releases this year as the Archives and Trump administration seek compliance with law that required release of all such documents by Oct. 26 last month. President Trump's announcement on Oct. 26 said the White House was postponing some releases — estimated by experts to be some 98 percent of the more than 30,000 documents still at issue — for up to six months to enable further review on "national security" grounds. The Justice Integrity Project along with Citizens Against Political Assassinations (CAPA) have been monitoring this process closely. That grows out of the decades-long experience of most of CAPA's leaders in documenting why the major 1964 Warren Commission findings on the assassination were wrong. 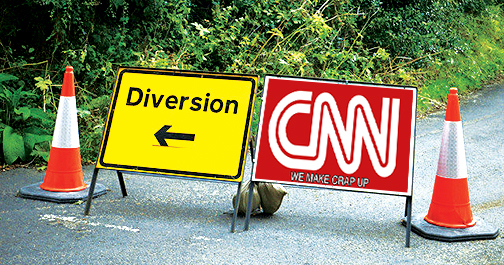 Yet the vast majority of major news organizations have parroted the commission's claims and ridiculed critics through current times as crazed "conspiracy theorists." 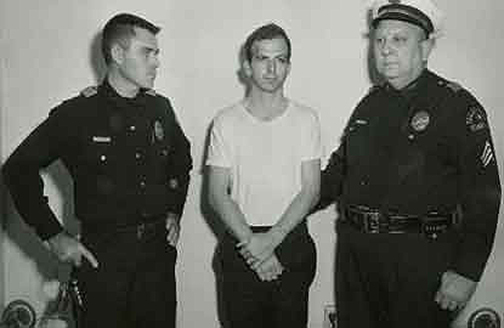 The Commission's major findings were that that former Marine Lee Harvey Oswald (shown above in custody in Dallas after the shooting) acted alone with no accomplices in killing JFK with three shots from behind. To counter this clearly false history that even Kennedy's successor Lyndon B. Johnson did not believe (according to a now declassified tape-recording), CAPA is co-sponsoring with the South Texas College of Law /Houston a unique mock trial, State of Texas vs. Lee Harvey Oswald, from Nov. 16-17 at the law school. Regarding the Archives releases, nearly all mainstream media have relied on so-called experts with long track records of advancing their journalism and academic careers by endorsing with slight modifications the official story first promoted by the Warren Commission. 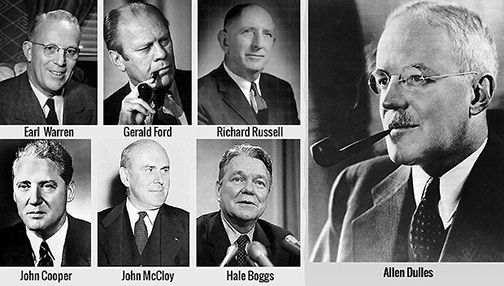 The seven-member commission was led by Supreme Court Justice Earl Warren. 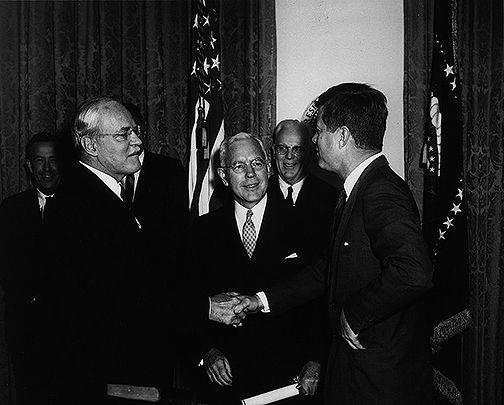 All of the commission's members had arduous full-time jobs aside from former CIA Director Allen Dulles, whom Kennedy had forced out of office in late 1961 along with two deputy CIA directors because of the young president's growing anger at CIA attempts to involve him and the nation further than he thought appropriate in covert and military actions, most notably the overthrow of Cuban leader Fidel Castro. The nation's media have long presented the 26-volume Warren Report as the definitive word on the Kennedy assassination, with a few minor adjustments arising out of 1970s disclosures of massive CIA-led propaganda, assassination programs that supposedly operated only overseas, not in the United States. The last official investigation of the Kennedy assassination was by the House Select Committee on Assassinations, whose report in 1979 suggested the possibility of a conspiracy in the death motivated by Mafia anger towards Kennedy for his administration's crackdown on them. Most of the critics cited below, however, debunk the Warren Commission process and point to the overwhelming evidence against the official conclusion. 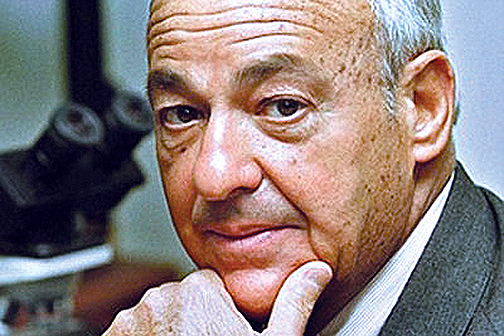 Wecht has harshly criticized media outlets that routinely ignore forensic and other scientific professionals and instead cite University of Virginia politics professor Larry Sabato and former New York Times reporter Philip Shenon to assess scientific evidence that two claim supports the Warren Report. We summarized the case against media relying on Sabato and Shenon for commentary in a September column, CAPA Challenges Warren Report Defenders Sabato, Shenon, but the pack journalism tradition of the major media in relying on those two has continued unabated. 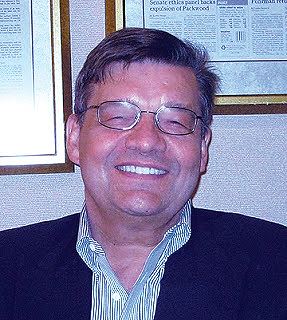 Among other experts typically neglected by media commentaries about released documents are Douglas Horne, an author and former military expert for the Assassinations Record Review Board appointed by Congress to oversee document disclosure in the 1990s. Another of the many neglected experts cited below is Dan Hardway, who worked 18 months for the House Select Committee on Assassinations, focusing especially on purported ties of Oswald to Cuba and Mexico. 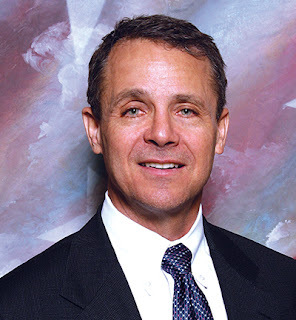 Jacob Hornberger (shown at left), a book publisher of Horne's five-volume series, an attorney and the head of the Libertarian-conservative think tank Future of Freedom Foundation, has been harsh in attacking mainstream media and its supposed experts. In columns excerpted extensively below, Hornberger attacks especially those media commentators who claim that recently released documents lack a "smoking gun" that debunks the Warren Report. Hornberger argues that assassinations plotters rarely if ever outline their plans in written documents, much less in records that are preserved for disclosure. Instead, he says, truth-seekers must look for the circumstantial evidence that is typically decisive in criminal cases involving non-political murders and other crimes. Further, his most recent column on Nov. 10 argues that authorities cited phony autopsy evidence to support their claims that the slain president was shot from the rear with his fatal wound. Hornberger says the phony autopsy reports should be enough to provide a "smoking gun" -- except that reporters are two lazy or fearful to report the evidence or books about the autopsy reports released years ago. The Assassination Records Review Board (ARRB), led by a five-member board confirmed by Congress, prioritized document release during the 1990s, and established a 25-year deadline for final release that expired Oct. 26. But President Trump extended that deadline for most remaining documents for up to 180 days, as reported two weeks ago in Trump Backs Off Promise To Release All Suppressed JFK Documents Today; Permits Partial Release. That Justice Integrity Project news report, excerpted on CAPA's news site, contains an appendix of many news reports and commentaries since last week about the document releases. An appendix to this column updates those news reports and commentaries to focus especially on important materials published in November. The appendix also includes links to our project's so-far 43 part "Readers Guide to the JFK Assassination" linking to important books, films, archives and reports covering the range of commentary on the assassination from pro-Warren Report advocates to critics. 1. Project Launches JFK Assassination Readers' Guide, Oct. 16, 2013. 2. Project Provides JFK Readers Guide To New Books, Videos, Oct. 26, 2013. This is a list of new books and films in 2013. 4. Self-Censorship In JFK TV Treatments Duplicates Corporate Print Media's Apathy, Cowardice, Nov. 7, 2013. '5. Puppetry' Hardback Launched Nov. 19 at DC Author Forum on ‘White House Mysteries & Media,' Nov. 19, 2013. 6. 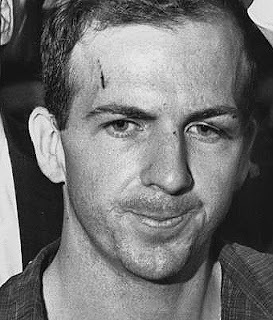 Major Media Stick With Oswald 'Lone Gunman' JFK Theory, Nov. 27, 2013. 7. JFK Murder Scene Trapped Its Victim In Kill Zone, Nov. 30, 2013. 10. JFK Murder Prompts Expert Reader Reactions, Dec. 19, 2013. Reactions to our Dec. 9 column. 13. Experts To Reveal Secrets of JFK Murder, Cover-up at Sept. 26-28 DC Forum , Sept. 5, 2014. 15. JFK Experts To Explode Myths, Sign Books In DC Sept. 26-28, Sept. 24, 2014. 23. Nearly Too Late, Public Learns of Bill Moyers’ Conflicts Over PBS, LBJ, Jan. 2, 2014. 24. Why Bill O'Reilly's Lie About JFK's Murder Might Matter To You, March 17, 2015. 25. Free Videos Show Shocking Claims About CIA, JFK Murder Probes, June 29, 2015. 26. Pioneering Black Secret Service JFK Guard Abraham Bolden Warns Of Current Lessons, July 22, 2015. 27. Understanding Hollywood-Style Presidential Propaganda From JFK To Trump, Aug. 18, 2015. 28. Beware Of Wrong Conclusions From New CIA Disclosure On Oswald, Sept. 28, 2015. 29. The JFK Murder Cover-Up: Your Rosetta Stone To Today’s News, Nov. 29, 2015. 30. Austin Kiplinger, David Skorton: Two Civic Giants Going And Coming, Dec. 15, 2015. 31. Trump Alleges Rafael Cruz Tie To JFK Murder Suspect Oswald, May 3, 2016. 32.. Revelations Confirm Proof Of JFK, RFK Murder Cover-ups, Nov. 25, 2016. 33. Top Experts To Assess JFK Murder Records, Revelations March 16, March 8, 2017. 34. Speaker Program For March 16 Forum On Secret JFK Records, March 8, 2017. 35. JFK Experts Advocate Compliance With Records Deadline, March 8, 2017. 36. At CAPA Forum, JFK Experts See Need, Momentum For Assassination Records Release, March 23, 2017. 37. Time Magazine, History Channel Ramp Up Oswald-JFK Fake News, April 26, 2017. 38. JFK Birthday Prompts Inspiration, Art, Advocacy, Snark, June 2, 2017. 39. Deep State Killed JFK For His Cuba Policy, Peace Advocacy, Experts Say, June 13, 2017. 40. Newly Released JFK Murder Files Prompt Disputes, 'Jigsaw' Solutions, Aug. 4, 2017. 41.. CAPA Challenges Warren Report Defenders Sabato, Shenon, Sept. 22, 2017. 42. Trump Plans Release Of Suppressed JFK Records, Oct. 21, 2017. 43. Trump Backs Off Promise To Release All Suppressed JFK Documents Today; Permits Partial Release, Oct. 26, 2017.